Connect your TV to your, er, washing machine! Install the homebrew channel and setup player ce to be a media center. Note this is the best possible solution for a wii media center as it streams the video as is and does not convert the files to flash. You do not need to watch using the wii web browser like all the other current wii media center solutions. 2. 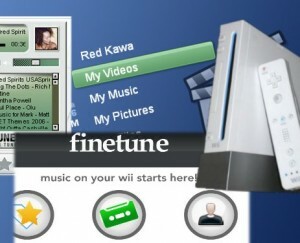 Once the Homebrew channel has been installed start it from the wii menu. 3. Share your video/audio directory on your windoze machine. If using Windows 7 you must disable 128-Bit encryption and turn OFF password protection and add “Guest read/write” permissions. 4. Edit the smb.conf in SD/APPS/mplayer ce to point to your shared directory eg. *Note if your shared directory has spaces eg “My Media” you need to have the share in smb.conf in quotes eg. The zeros (0) denote no username or password. keepalive=0 <—– Keeps connection alive. 7. Choose your file to stream. >>How do I do this? the sd is no longer win formatted so i cant use windows/notepad..